If you have suffered a loss through negligent legal advice or services from Commercial Solicitors it can be particularly stressful, as most cases will involve a valuable asset or a valuable source of income. It can also be important in many other ways, not least because it is something you have created yourself or built up over many years, having invested more than just your money into its development. When things go wrong it can be very traumatic and stressful and it can seem very difficult and daunting to obtain legal redress for your loss. Solicitors and other lawyers are relied upon in Commerce and Business, in general advice, in transactions and in litigation. We have experience in advising where a commercial transaction, litigation or advice has led to a Client suffering a loss and in pursuing professional negligence claims against the lawyers where negligence and loss can be established. It is important to use an experienced team when it comes to making any sort of claim against a Solicitor or other legal professional because these cases are often complex and difficult and the Solicitors and Lawyers’ Insurers will use many legal arguments to challenge your claim. This is particularly important when the subject matter of the claim is Commercial legal advice or services. When Commercial legal advice or services go wrong it often can involve difficult areas of law and practice. This gives the Solicitors’ Insurers even more opportunity to argue that not only was there no negligence, but even if there was, he was not under a duty to achieve the outcome which you say was lost by the Solicitor, or that you would have proceeded with the transaction anyway or no substantial loss has been caused. We have specific experience of this type of claim having successfully pursued claims against Solicitors in respect of negligent Commercial legal advice or services. 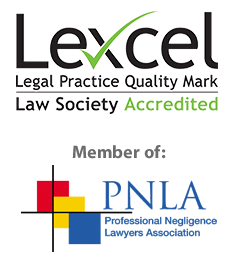 We can also draw on our extensive experience of dealing with Commercial legal advice or services.